At the Wildman 2009 Barrel tasting on February 4th, I met Nadine Gublin, the winemaker for Domaine Jacques-Prieure, and sampled her three amazing White Burgundies. I was on a white wine kick that day, and did not sample her fine array of Bourgogne Rouges, however, I will be setting up an appointment to taste after the vintage is officially released. The nose has a smoke flavor, perhaps applewood, and oak aromas. The palate is bright and crisp with melon, baking apples, oak and a slight smoke. A less intense nose than the Mersault, but still has the slight oak aromas and a bit of melon basket. The palate is extremely nice, with higher acidity, apples, and vanilla on the back, with a very crisp finish. The most exquisite of the three, the nose was soft, had notes of oak, and wonderful vanilla and lavender aromas. A bright palate of pineapple, tropical fruits, refined acidity and a clean finish left me incredibly impressed with the Combettes. An excellent finish to the Blanc line-up. In sampling these three Blancs, I believe once the 2009 Jacques-Prieur is officially released, it will be an excellent vintage. The wines were very full and lacked no flavor in any stages of the tasting process. 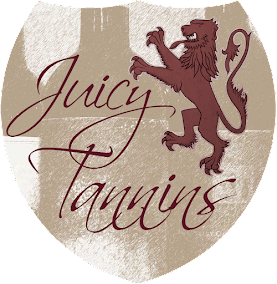 In my first introduction to the Domaine, I am very satisfied, and hope to bring Jacques-Prieur to the club to share these fresh, crowd-pleasing wines. 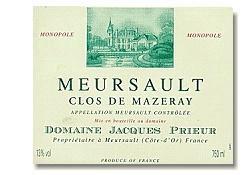 Just be willing to throw in an extra dollar or two for these treasures: about $75 retail for the Meursault and Beaune or $100-ish in your favorite retaurants. 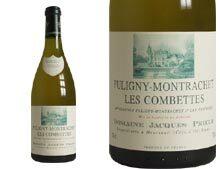 The Puligny-Montrachet will be around $140 retail and $180-ish on the wine list.